The above protocols generate 150 to 250 images, an inconvenient number of slices to read or store on film. We routinely read the scans on a workstation and film every third image at lung and mediastinal windows (20 per film) for archiving. If only small clots are found, demonstration images are filmed in a 4: 1 or 6: 1 format for future reference. 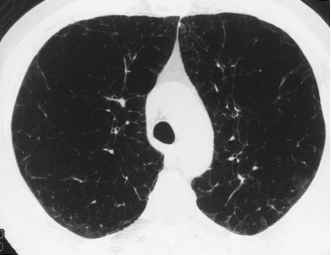 Figure 3 Acute PE. 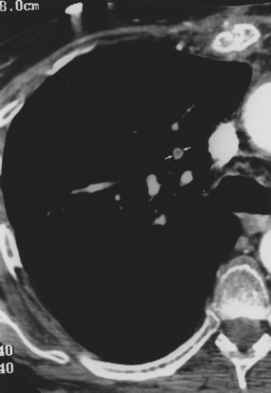 A partial-filling defect is seen in a subsegmental RUL artery, with central low attenuation surrounded by high-attenuation contrast (arrows).